(above) WEARING: Vie Active Wear. 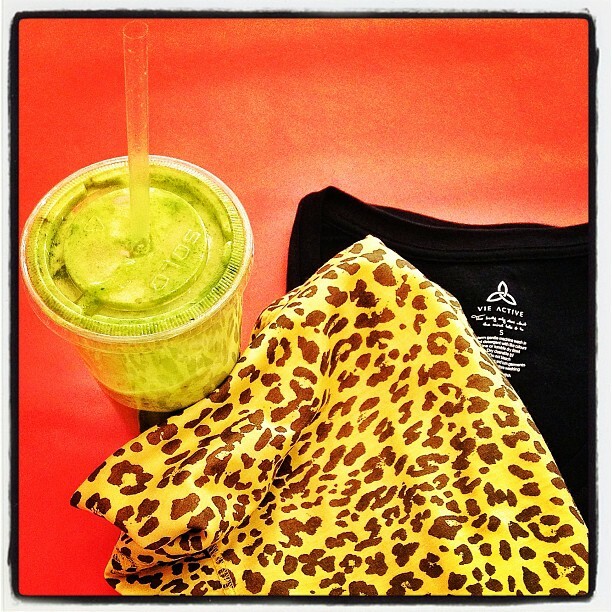 Workouts just got Leopard-y! This is my new Lisa Superlight Racerback Tank ($79) and Viv Merino Tech Tee ($99). Let's get physical. UPDATE: It's sale time at Vie Active Wear! 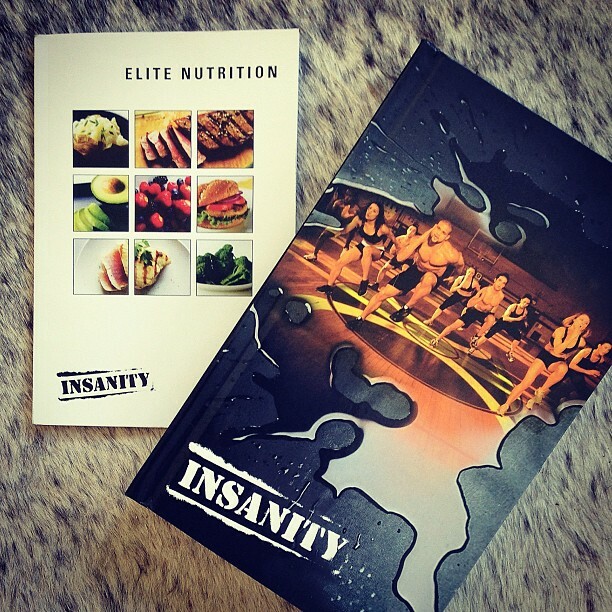 Enter code EOFY2013 after checkout for 25% off ALL STOCK (until June 30)! (above) SWEATING TO: Insanity. 12 DVDs. 60 days. Yuh. I'm about to get strong. And maybe even abs. MAYBE. PS My first mistake was to order from beachbody.net. Looks legit. BUT - Not legit at all when half the DVDs won't even play?! Found a half decent copy on eBay in the end. Not geniune (slightly inferior screen resolution), but it plays. Currently on Day 7. Click to buy from Beachbody Australia ($119). WHY DIDN'T I DO TIHS IN THE FIRST PLACE?!?! (above) DRINKING: So my good friend (and ex Cosmo Magazine colleague) Eugenie Kelly is the Deputy Editor/Beauty Director of Aussie Harpers Bazaar. She's also "obsessed with finding ways to make fitness, healthy food and beauty, fun". So much so, that she just just JUST launched a very cool "wellness website" Well To Do with PR whizz Emma Harrison. 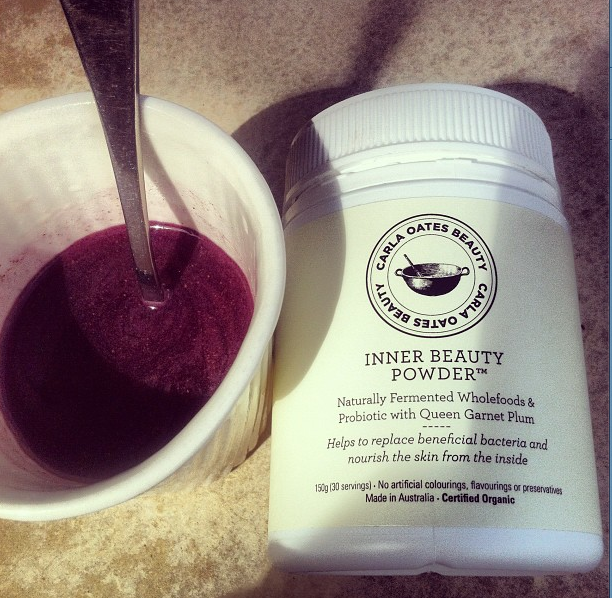 In a recent post titled "Good to Glow", they told me to buy Carla Oates Inner Beauty Health Powder. So I did (truth be told, I've been pondering this purchase for about a year now). I'm a bit excited. For those of you missing my "Day in the Life" posts? Follow me @tabletonic on Instagram and you'll get one every day!